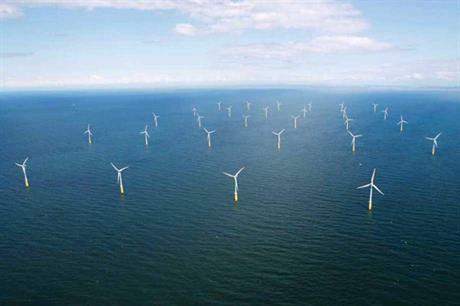 UK: RWE npower renewables has made further revisions to its project plans for Atlantic Array, reducing it from 1.5GW to 1.2GW. It is the second time RWE has made changes to the project, which was originally envisaged as totalling 417 turbines. In May last year, it was forced to cut 139 turbines from the project following environmental studies. However, RWE insisted it would still hit the 1.5GW capacity by using larger machines. Now, the maximum number of turbines has been cut further from 278 to 240, and the project's maximum capacity has been reduced to 1.2GW The area for the wind farm, which is planned for a site off the Devon and south Wales coasts, has been further reduced, from 238 square kilometres to 200 square kilometres. The latest changes follow analysis of the consultation undertaken last year, as well as the results of environmental and engineering studies. Scaling down the project will reduce its visual and seascape effects, as well as the potential for underwater disturbance during construction. Commercial fisheries, birds, navigation and the ecology of the seabed will also benefit from the refinements. Craig Harwood, project manager for Atlantic Array, said: "The revisions to the proposed Atlantic Array wind farm are being made following the completion of additional studies and focus on the site boundary closest to Lundy and North Devon. They build on the changes we made in 2012 to minimise environmental effects, which also significantly reduced the visual effects from the south Wales coast." RWE npower renewables now aims to submit a consent application to the Planning Inspectorate in June.